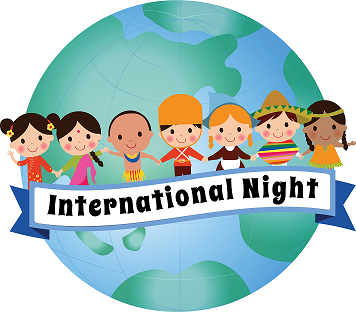 International Night is a free, fun-filled family event showcasing the taste and tour of the world! We will have families representing their country of origin by displaying arts & crafts and food along with music, performances and a culture parade. Please join us in celebrating the international diversity of our school. We need more countries so if you do not see your country on this list, please book your table now! Interested in representing our country to the Einstein students, parents and community? Represent your country by bringing, displaying and sharing food samples, posters, artifacts, maps, and/or activities! Please use the form below to reserve a table to represent your country of choice. Contact familyevents@einsteinptsa.org with any questions. Due to nut allergies, food samples may not contain nuts. If you cannot access the form through this site, use this direct link to the "Book A Table" form. Students are encouraged to sign up to show off their performing skills and represent their country! Please note that performances must be limited to 5 minutes, including entering and exiting the stage area. Please use the sign up below to reserve a slot for your performance. If you cannot access the form through this site, use this direct link to the "Performance Slot" form. All Einstein students who are wearing their ethnic dress can participate! No sign up required for this event, just be ready to walk with other students during this time! Volunteers are an essential part of this event, so please come help to make this fun and successful. Your help will make all the difference - we can't do this without you! Please click on the link below to sign up to help.